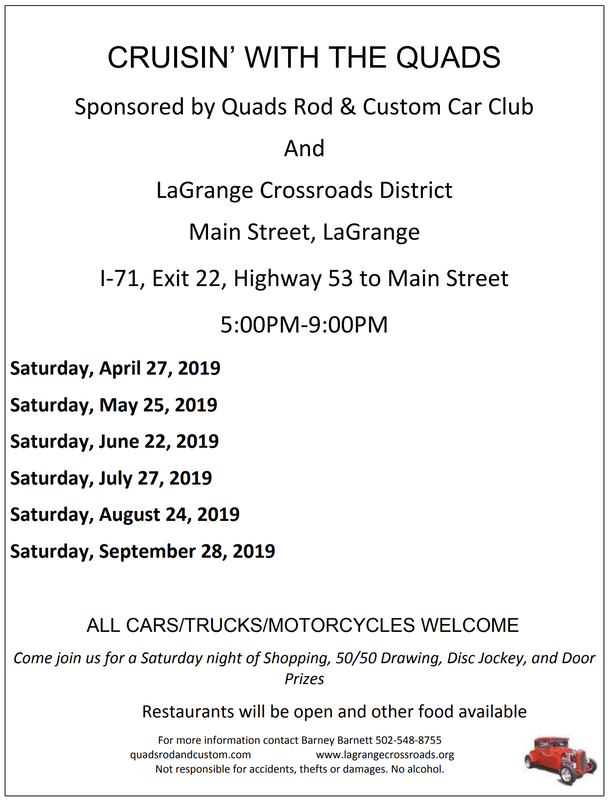 Come and join us on the 4th Saturday of every month (April thru September) from 5:00 to 9:00 on Historic Main Street in downtown LaGrange. All makes, models, and years of vehicles welcomed. Come and enjoy the fun. 50/50 Drawings, Door Prizes, DJ & More.